Raised by her single mom (who's always dating the wrong kind of man) in a struggling California neighborhood, Angel Rodriguez is a headstrong, independent young woman who channels her hopes and dreams for the future into her painting. But when her entry for a community mural doesn't rate, she's heartbroken. Even with winning artist Nathan Ramos -- a senior track star and Angel's secret crush -- taking a sudden interest in Angel and her art, she's angry and hurt. She's determined to find her own place in the art world, her own way. That's when Miguel Badalin -- from the notorious graffiti crew Reyes Del Norte -- opens her eyes to an underground world of graf tags and turf wars. She's blown away by this bad boy's fantastic work and finds herself drawn to his dangerous charm. Soon she's running with Miguel's crew, pushing her skills to the limit and beginning to emerge as the artist she always dreamed she could be. But Nathan and Miguel are bitter enemies with a shared past, and choosing between them and their wildly different approaches to life and art means that Angel must decide what matters most before the artist inside of her can truly break free. 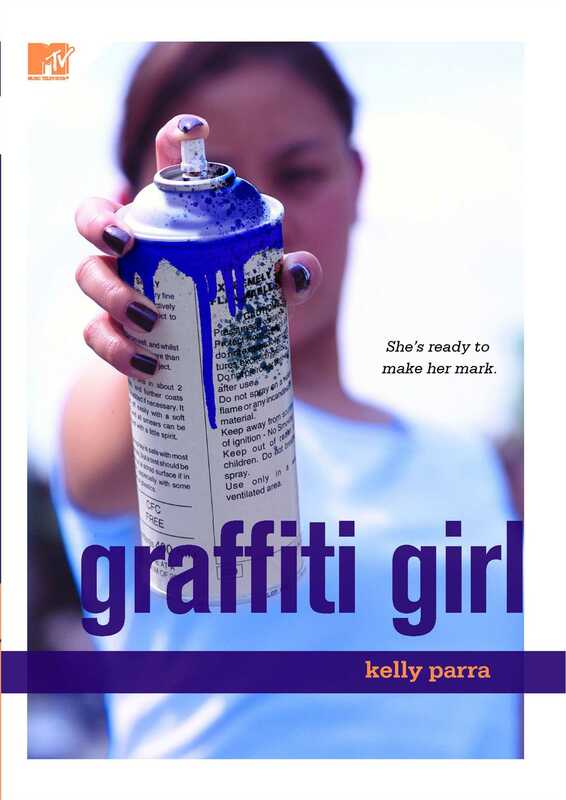 Kelly Parra is the author of the acclaimed novel Graffiti Girl. She lives in a diverse agricultural town in Central California with her husband and two beautiful children. Visit her website: www.KellyParra.com, and follow the Secret Fates blog at Secret Fates.blogspot.com. "With characters as bold and exciting as the art they love, and an honesty that keeps them raw and real, Graffiti Girl shows us that the only thing better than discovering your talent is finding yourself along the way."